to search these Inspirational Sayings. Thank you for visiting these Live Sayings and Quotes. I hope you find value in these Quotes and Sayings about Live from my large collection of Inspirational Sayings. 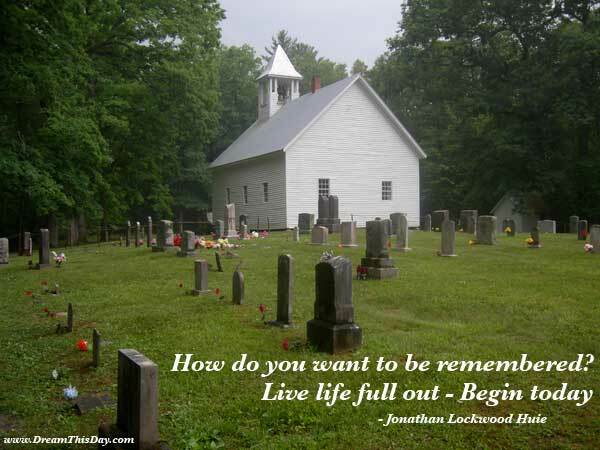 Live life full out - Begin today. the beauty's in my eyes. Live as if this is all there is. Live Well, Love Much, Laugh Often. Ask for what you want. Please sign-up on the form below to receive my free Daily Inspiration - Daily Quote email. Trust yourself, then you will know how to live. Freedom is the right to live as we wish. The journey of my life. save the pain I'll leave behind. When my own strength let me down. Even when the time raced me by. I smile and bid you goodbye. All I need is your smile. the one I laugh with, live for, dream with, love. We live in the world when we love it. or from ever making any demands whatsoever upon others. Don't live your life to please other people. if you play your cards right. and live like its heaven on earth. nor with the future. I live now. Life is full of beauty. Notice it. Smell the rain, and feel the wind. and fight for your dreams. The greatest wealth is to live content with little. but if you work it right, once is enough. To believe in something, and not to live it, is dishonest. to live as we wish? Nothing else. but we cannot survive without human affection. Anyone is free who lives as he wishes to live. A man who won't die for something is not fit to live. Live life to the fullest. I live with enthusiasm, and give thanks for my life. to make life less difficult for each other? Live boldly. Laugh Loudly. Love Truly. Work as smart as you are able. Share your heart as deeply as you can reach. find an ample measure of my own joy. What is your dream - your life-dream? Have you begun to live it yet? Be curious; be adventurous; live life full-out. Accept the challenge, and reach for the brass ring. Do not lose hold of your dreams or aspirations. For if you do, you may still exist but you have ceased to live. Life is lived in the living. life is supposed to be lived. by killing each other's children. find your eternity in each moment. For those who do not live in fear of scarcity, life is unlimited. May you live all the days of your life. Live your beliefs and you can turn the world around. Dream up the world you want to live in. Dream out loud. Live out of your imagination, not your history. We live in a spiritual Universe. our lives are all different and yet the same. be sure they are your own. To live is to choose. Have the will to be well, to be happy, and to live in joy. What we speak becomes the house we live in. He who has a why to live can bear almost any how. Eat to live, and not live to eat. Live the life you've dreamed. you radiate your light into the world. God is in, through, around and for us. where you want to go and why you want to get there. is to be what we pretend to be. The doors we open and close each day decide the lives we live. Live life on the edge, not with an edge. I choose to live my life in the present, with consciousness. inspiring others to follow my example. Live wild, life free, live as master of your own fate. Don't live down to expectations. Go out there and do something remarkable. your own values, your own life. but make your own decisions. Thank you for visiting: Live Sayings - Live Quotes - Sayings about Live.